Not many little kids dream of becoming a truck driver when they are having fun on the local playground. However, with time, the priorities change, and they find themselves searching for a career that doesn’t involve saving lives or jumping with a parachute. A truck driver is a solid job with certain benefits that are attractive to many people. However, as it is with many other jobs, there are specific skills you need to master in order to become a high-paying trucker. So, whether you are thinking about a career change or already found yourself behind a wheel, you must be wondering if you have what it takes to become a good truck driver. While you don’t need to get a Ph.D. to become a truck driver, most of the companies will check if you have a high school diploma or good GED scores. Truck driver is a job with many hazards. You need to be healthy enough to handle them. While high blood pressure or a smoking habit won’t keep you from getting a job, you must be healthy enough to pass a DOT physical. Don’t hope to get a high-paying trucker job if you have a poor driving record. This doesn’t include a couple of parking tickets you got 10 years ago, but a reckless driving charge can put an end to your career before it even starts. Long and boring driving hours can take a toll on your nervous system. If you don’t know how to entertain yourself and alleviate stress, this job might not be for you. Truck drivers face hazardous road situations every day. They require stamina to literally keep their sanity. Driving a truck is not just about turning the wheel and listening to your favorite audio books all day long. There are many things you must learn before getting into the vehicle. Before becoming a truck driver, you need to pass Federal Motor Carrier Safety Regulation Exam. If your driving experience ends with driving from your home over to the friend’s house, you’ll have a hard time becoming a good truck driver. Ask yourself, do you know enough about driving to conquer interstate highways? Perhaps you need to get some driving experience first. A truck driver is a job that gives you independence and a certain amount of freedom. You won’t have someone looking over your shoulder and correcting your mistakes. Most of the time you’ll be on your own, making your own decisions. Accordingly, you should master a good work ethic. Truck drivers must pass random alcohol and drug tests. That’s why you’ll have to forget about wild alcohol parties. In fact, CDL holders have lower alcohol limits than regular drivers. If you fail a drug test, you can say goodbye to the truck driver’s career. Many truck drivers spend more than half of their lives on the road. Before becoming a truck driver, consider whether your family is ready to deal with not seeing you for weeks at a time. https://www.transittms.com/wp-content/uploads/2017/01/how-to-be-truck-driver-transittms.png 460 687 admin https://www.transittms.com/wp-content/uploads/2015/05/transitlogoblue-300x146.png admin2017-01-25 17:55:162017-01-25 17:55:16Do You Have What It Takes To Become a Truck Driver? Paper, envelopes, pens, and pencils are a thing of the past. You will hardly meet a trucking company owner, who is ordering stationary for his tracking, accounting, load planning, and route optimization. The trucking dispatch software is conquering the world of trucking, and if you haven’t gotten on the bandwagon yet, you are in trouble. You’ll have a tough time finding a business out there that doesn’t use some kind of software to maximize its profits. Most of the time such software comes with a team of developers, production support, maintenance charges, and more. However, most of the business owners are ready to put up with the numerous fees in order to make their lives worry-free and the work more convenient. Thankfully, when it comes to the trucking dispatch software, much simpler programs can help you organize your business. 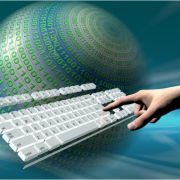 The web-based software gives you full-time access to the information about your company from any place on planet Earth, where you can find an Internet connection. So, if you are still unsure whether you need such a software, let us look at the obvious benefits and a few not so obvious ones. Most of the trucking dispatch software is adapted to mobile platforms. You can organize your business from your smartphone or tablet, whether you are sitting in an office, going on a skiing trip, or dancing at a nightclub. When looking for the trucking dispatch software for your needs, make sure it comes with timely maintenance. If you make the right choice, all the software testing, maintenance, upgrading, and bug fixing will be done on a regular basis without you even knowing about it. 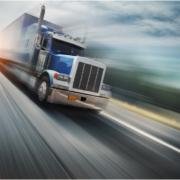 High-quality trucking dispatch software offers the real-time route optimization options. Your trucks will not be losing money on closed roads or in traffic. Planning a route can also help you calculate miles and approximate the fuel costs. Trucking dispatch software is one of the best tools for your fleet tracking. It will save you a significant amount of time on trying to keep your trucks and truck drivers in check. Most of the truckers’ job-related injuries happen due to improper and untimely truck maintenance. The trucking dispatch software keeps track of the regular vehicle checks and schedules periodic maintenance. Having high-quality trucking dispatch software at hand allows the trucking company maximize the services they offer and the profits they get. It offers solutions for complex scheduling of regular deliveries and allows you to optimize the use of your fleet. Eventually, a trucking business owner can reduce the time the trucks spend on the road, the amount of fuel used, and the maintenance frequency. Living in the digital world without taking advantage of the software specifically designed to boost the profits of your business is like using a coal stove to heat up a high-tech apartment in New York. Keeping up with the times is the key to allowing your business evolve. How to Pass DOT Physical? If you are a truck driver you need to pass DOT Physical, you must have good health in order to avoid problems on the road. Since good health is vital to your safety, you need to prove it once in two years. Let’s face it, in the modern days, not many people have excellent health. Truck drivers often face such problems as obesity and high blood pressure. All these conditions can be kept in check by medication and shouldn’t be an obstacle to passing the DOT physical. However, many truckers fail it due to silly mistakes. Don’t become one of them and prepare for the checkup like you would for one of the most important exams of your life. Here are some tips to help you on your way. If you feel healthy and nothing bothers you, you will probably pass the physical without any problems. However, you might not be aware of some hidden conditions, such as high blood pressure or not-so-perfect vision. Two weeks before the physical, check your blood pressure and your vision to know what you are up against. Your best bet is to make an appointment with your physician to find out which problems you need to deal with. Otherwise, you might be unpleasantly surprised with the results of your DOT physical. Even if you’ve been slacking when it comes to your health for the past two years, it’s time to pay close attention to what you are eating and drinking. One or even two weeks before the physical cut down on unhealthy food, caffeine, sugar, and, of course, alcohol. It wouldn’t hurt to factor some exercises into your routine as well. Give your body a chance to show the best results at the checkup. Truckers with blood pressure and heart problems often forget to take their medication. 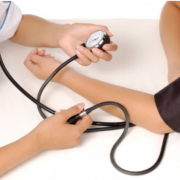 High blood pressure is a silent enemy and won’t remind you about itself every time it spikes. However, your body suffers anyway and the doctor will see it clearly. That is why at least one week before the physical you need to pull yourself together and start taking your medication on a regular basis. If you’ve got a cold or the flu, make sure to reschedule your physical. Even if you don’t have anything more serious than a runny nose, a common cold can affect the results of your physical. Each sickness, even the slightest one, impacts your body. You might not notice it yourself but if you have some chronic conditions, they can worsen. Even a harmless stuffy nose can impair your hearing. Make sure you are completely healthy on the day of the physical. The fear of white coats can do you a bad service at the DOT physical. If you are unable to relax at the physical, your blood pressure might spike and the vision can blur. If you know you have such a fear, study a few breathing techniques to help you relax and pass the physical with excellence. https://www.transittms.com/wp-content/uploads/2017/01/pass-dot-physicals.png 422 635 admin https://www.transittms.com/wp-content/uploads/2015/05/transitlogoblue-300x146.png admin2017-01-13 20:15:452017-01-13 20:51:42How to Pass DOT Physical? If you are an experienced truck driver, you know that not all truck stops are created equal. In fact, some of them are outright terrible. When you are planning your route, it makes sense to do some research about the places you are planning to stop at. But even if you need to suddenly park somewhere and get a bite to eat or take a bathroom break, there are a few tips that can help you make the right choice. The highest cost you’ll incur at a truck stop is the fuel price. That’s why you need to start watching for the prices a long time before you start running out of gas. After passing a few stops, you’ll get a good idea about the average price in the area. Gather information about at least three of them to make a decision. Plenty of truck stops offer some kinds of cash back program. The next time you stop to refuel, ask if they have loyalty cards that will help you save money in the long run. While $5-$10 might not seem worth the effort, in 5-10 months it can add up to a significant amount. Large truck stop chains usually have a significant advantage over individually owned truck stops. Most likely, a chain will offer higher quality fuel which can be a deciding factor for most truckers. Chain stops offer membership cards so you can enjoy discounts and service benefits. Owners of chain truck stops are always ready to spend extra money to attract customers so the truckers get additional bonuses for using their services. Chain stops are usually larger and have wider parking areas. Nowadays, a truck stop is not limited to a gas station, a café, and a parking lot. The modern truck stops are offering a wide range of services such as truck wash, gym, laundry machines, bowling alleys, and even chiropractor services. 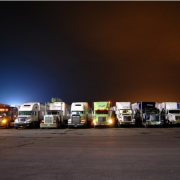 You are more likely to find a longer list of services at a large chain truck stop. However, smaller individually-owned stops can offer a few interesting benefits, such as medical and dental services, free internet connection, and a big variety of tasty food. A good truck stop has a big parking lot with wide spaces. Unfortunately, such stops might also be more expensive than smaller ones. 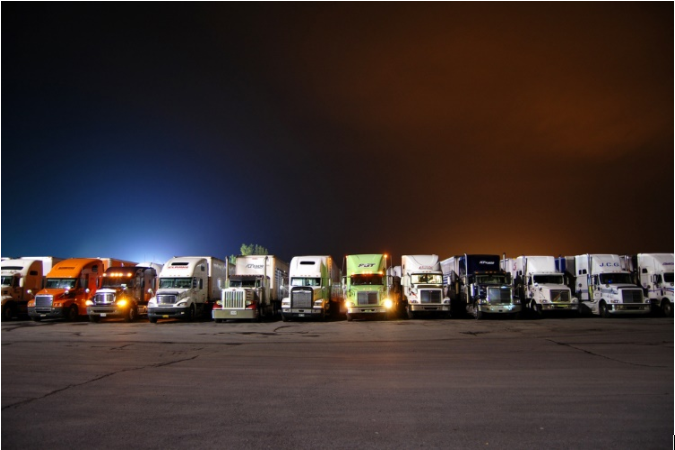 However, a large parking lot is often the deciding factor for truckers since it can save you plenty of time and nerves. Even if you are a parking guru, a spacious parking lot can be a great advantage and give you peace of mind. After all the research is done, allow your intuition to guide you. Sometimes, your inner voice does a better job choosing a place to rest than your brain does. If you feel that you don’t like something about the way a truck stop looks, just go on to find another one. After all, there are thousands to choose from.